An EF3 tornado directly hit Alto and Caddo Mounds State Historic Site on April 13. Enrich your travels and love of history by visiting the revolutionary places of struggle, violence, and chaos during the fight for Texas independence. Almost forgotten by generations of Texans, the 1813 Battle of Medina was the fierce and bloody climax of the first Texas war for independence. How can we use cultural history as a catalyst to economically revitalize a neighborhood? 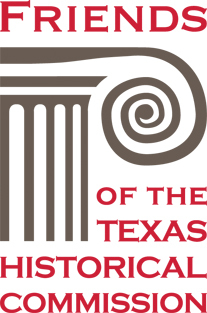 THC’s official magazine containing news and advice about preservation projects, Texas’ historic sites, and heritage tourism. Our hearts are broken by the suffering of our friends across Alto, Cherokee County, and elsewhere who were impacted by the terrible storm and tornado over the weekend. The THC has launched its Hurricane Harvey Disaster Assistance Program to help historic resources impacted by Harvey, one of the worst weather disasters in U.S. history. The State of Texas was recently awarded more than $12.3 million in federal grants from the National Parks Service’s Hurricanes Harvey, Irma, and Maria Emergency Supplemental Historic Preservation Fund. Interested in archeology, architecture, history, economic development, heritage tourism, public administration, and urban planning? THC helps project sponsors comply with laws that protect historic properties.